About Hinduism - Brief articles on the various facets of Hinduism. Acharya On Line - Information on various poojas, rituals, beliefs, tradition, vedas, and puraanaas in addition to customised information like muhurtas and astrological solutions for individual needs. A panel of pundits and acharyas will answer the queries of the visitors to the site. Adherents.com: Largest Hindu Communities - Features statistics on countries with the largest proportion and percentages of Hindus with respect to the total population. Advaita Vedânta - An introduction to the philosophy of advaita vedanta, as taught by Sankaracharya and his followers. Includes articles on the different systems of Hindu philosophy,upanishads and history of vedanta. Ahwan: The Spiritual Approach to Life - Articles based on lectures by Sri Bimal Mohanty. Many available on-line but subscription requested for access to others. All Around Hinduism - Photos and briefs on Sri Ganesha and Sri Rama. 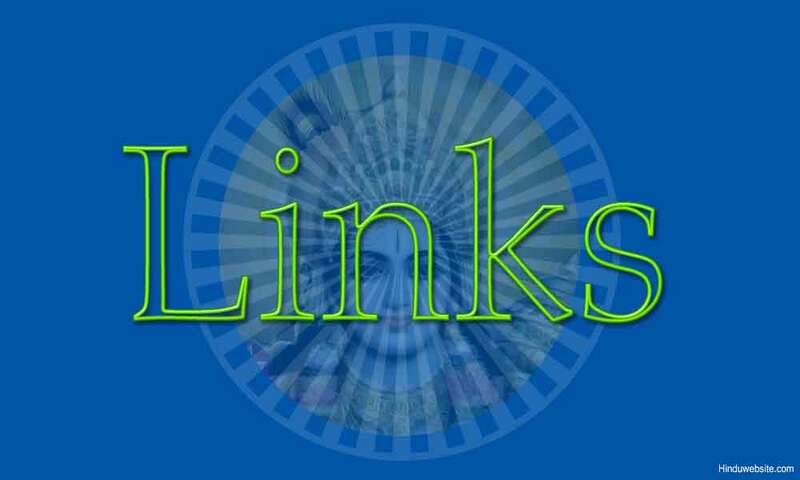 Also contains a collection of links to Hindu resources. Amba House - Lives and sayings of saints. Jataka stories. Offer home study courses in different scriptures. Aspects of Hinduism - Articles on different aspects of Hinduism by Dr. Gautam Chatterjee. The Avatars - Information and a calendar of appearances of manifestations of Hindu gods in human form, called "Avatars". Balinese Hinduism - Information on the practice of Hinduism in Bali, Indonesia. BBC Religion and Ethics: Hinduism - Features an overview, history, beliefs, list of holy days, and customs. Comparative Religion: Hinduism - The basic tenets of the religion. Includes on line English translations of the Vedas, Upanishads, and Bhagavad Gita. Dal Sabzi for the Aatma - Features writings by Shakun Narain on philosophy, articles and books on Hinduism and spirituality. Dasavatara - A new look at Dasavatara, Navadurga and the origin of the river Ganges by Dr.Gokul Das Agrawal. Dharma Central - Articles about spirituality, meditation and self-realization. included a schedule of pujas and lectures. Discourses on Vedic Wisdom - Spiritual lectures by Sri Atmatattva Das. Divine Digest - About Hindu religion, philosophy, and scriptures. Elements of Hinduism - Hinduism,its beliefs and customs from the American Museum of Natural history. Encyclopedia Britannica: Hinduism - An article from the first edition published in 1911. Encyclopedia of Indian Philosophies: Bibliography - An expanded version of the bibliography (of primary and secondary sources) which appeared as Volume I of Encyclopedia of Indian Philosophies, edited by Karl Potter. Encyclopedic Dictionary of Indian Philosophy - Basic terms and ideas in Indian Metaphysics, Epistemology, Logic, and Ethics. Erowid Hinduism Vault - Translations of four Upanishads and Baghavad Gita. Includes links to other sources on Hinduism. Finding Siva - A student account of religious journeys through India, learning about Hinduism along the way. God Mandir - Chronological history, rituals, and scriptures of Hinduism. Includes information on Hindu marriage and festivals. Hindu Caste System - An article by Dr. Subhash C. Sharma on the natural evolution of various professions in ancient India before and during Vedic times, explaining that the original Hindu vocations were not based on heredity or birth. Hindu Kids Universe - Contains prayers, festivals, customs and culture through pictorial descriptions, and a forum for kids and parents. Hindu Philosophy - About the history, pre suppositions, epistemic concerns, language and schools of Hindu philosophy. Hindu Puja and Bhajans - A collection of Hindu pujas and bhajans. Includes articles on the pujas. The Hindu Universe - Hindu portal. Includes an overview, complete text of scriptures, history, festivals, forums, deities, temples, activism, shopping, and newsgroup archives. Hinduism: A to Z - Prayers, festivals and their significance. Includes articles on Hinduism and sanskrit dictionary. Hinduism and Daily life - Articles about religious practices in Tamil Nadu, India. Includes information on gods Aiyanar and Aiyappan. Hinduism and Vedas - Articles by Sri Maha Periaval. 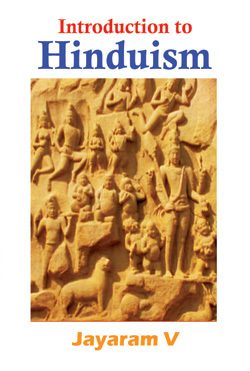 Includes his photographs, images of Goddess and links to books on Hinduism. Hinduism Potpourri - Articles on Hindu culture, philosophy, sacred texts, and customs. Includes pictures of deities and holy men; and discussions of such topics as death, initiation, and weddings. Hinduism: Religion or A Way of Life? - Articles on the scope of Hinduism from the traditional Aarti 'Om Jay Jagdish Hare' to Vedanta. Hinduism: The main religion of India - A brief introduction to Hinduism, Ramayana, and Hindu reformers. Hindutva: An analysis - Articles on Hindus, Hinduism, Eastern religions, Mysticism, Yoga and Indian culture. Hinduwebsite - Articles on the history, symbolism, Upanishads, and Hindu way of life. Includes links to resources on temples. How to Become a Hindu - An on line guide for seekers and born Hindus. IndiaDivine.com - Contains articles on Hinduism, translations of ancient texts, lessons in yoga and meditation, forums, audio lectures, FAQs, scriptures, and briefs on deities. Introduction to Hinduism - Contains information about the birth of the religion, the Vedas, reform movements, major gurus, and intermingling with Buddhist philosophies. Jain for You: Hinduism - About the fundamentals and symbolism of Hinduism. Includes an image gallery and FAQ. Mantra On Net - Features audio discourses and bhajans (RealAudio), prayers, screensavers, wallpapers, images, and briefs on deities. Requires registration. Meeting God: Elements of Hindu Devotion - Companion site to accompany an exhibit at the American Museum of Natural History. Features an overview of various aspects of Hinduism, including worship in the home, community, and temple. Modern Day Hinduism - Information and discussions about different aspects of Hinduism. Features links to other religious sites. Morari Bapu - Offers audio and video streams covering Hindu scriptures and mythology (RealMedia). Also features "shlokas" translated in English, and images of deities. Mythological Origins of Sangeet - Describes the traditional Hindu origins of Indian music and dance including a historical account of its development. Online Panchang / Panchangam - Provides Panchang/Panchangams for more than 100+ cities of the world. Questia: Hinduism Resources - Selected books available on line. ReligiousTolerance.org: Hinduism - Features an overview, and briefs on chief deities, sacred texts, beliefs, and the caste system. Sadhus - Information about the wandering holy men of India. Sanatana Dharma - Sadhana, prayers, rituals and concepts of Hindu religion. Sanathana Dharma - Articles on samskaras, yagna, and purusha suktha. Includes download of Totakashtakam and Pandurangashtakam. Sankhya School - A brief introduction to one of the major systems of Hindu philosophy. Sanskrit Texts and Stotras - Formatted Sanskrit texts and stotras in pdf format, plus learning tools, audio recordings, and books. Satya Sanatana Dharma - Hinduism as Sanatana Dharma, worship of Sadhasiva and the unity of Kali and Krishna. Self Realization - Essays on Spirituality, Hinduism, Self Realization, Bhagvad Gita, Yoga, Upanishads,and Mysticism by Vijay Kumar. Shaligram - About the importance of the worship of Shaligram in Hindu religion, its origin and related articles. Smithsonian Institution: Puja - Online guide for educators offers background information, activities, a bibliography and a resource list about Puja. Spiritual Knowledge - Spiritual way to prevent disaster by recitation of Brahm mantra,non violence and compassion. Spiritual Teachers - About Advaita vedanta and the teachings of the non dualistic teachers. Spread Hinduism - Offer four books on Hinduism free. Includes information on Vaishno Devi temple and articles on Hindu festivals. Sri Devasthanam - Information on Vedas, samskaras, temples, Sanskrit language, and saints. Sri Pancha Tattva - Articles on Bhagavad Gita, Lord Krishna and Nityananda Avadhuta. Sri Vrindavan Dham - The history, description, and stories of Mathura and Vrindavan associated with Lord Krishna. Include a biography of His Divine Grace A.C. Bhaktivedanta Swami Prabhupada. Suddha Dharma Mandalam - Resource on Yoga Brahma Vidya (Synthetic Science of the Absolute). Includes an overview, principles, and hierarchy. Understanding Hinduism - Includes articles and resources on the religion pertaining to the Vedantas, spirituality, the soul, deities, and quotations from the scriptures. United Communities of Spirit - An article by Dr. T. K. Venkateswaran about Hinduism, and the approach of the Hindus to interfaith dialogue and cooperation. University of Wyoming : Hinduism - Hindu cosmology, organization, religious life, worship, sacred literature, with a glossary, timeline & maps. Urday - Articles about sanatana dharma, vedas, puranas, upanishads, and samskaras. Vedanta - Articles on different aspects of Hinduism especially Vedanta. Vedic Philosophy - A small collection of articles on Vedic thought, Baghavad Gita, and Hindu philosophy. Vivaaha - Information about rituals, prayers, issues, and customs pertaining to Hindu marriages. Wiki about Hinduism - A collaboratively authored Wiki covering all aspects of Hinduism. Wikipedia: Hinduism - Article on the origins, scriptures, and philosophy of Hinduism. Sadhu Sanga : Offers illuminating material for those seeking to deepen their spiritual understanding and practice. We offer salient selections from Sanga talks and other writings by Swami B.V. Tripurari. World Wide Center for Self Realization: Essays on Hinduism, Spirituality, Mysticism, Philosophy, Self-Realization, Jainism, Meditation, Yoga, Gita, Upanishads and various other branches of Hinduism - by Vijay Kumar...The Man who Realized God in 1993. Avaduta Datta Peetham: Sadguru Sri Ganapathi Sachchidananda Swamiji of Mysore is considered as an incarnation of Lord Dattatreya. Speeches, videos, Cassetees, Cd's are found in this website. Blessings on the Net: A comprehensive portal on Indian culture providing value added services and products, catering to religious and spiritual needs of Indians across the globe.- features temples, tour packages, books, audio clips, pictures, art, and online puja offerings. Kailash Mansarovar Yatra: This is by far the shortest & the most direct approach to Mt. Kailash and is best suited for those on pilgrimage or those who are on a tight schedule. It is also the most popular trip. The trip is planned to arrive at Mt. Kailash on a full-moon day to view the mountain in its full glory & majesty. Khemraj Shrikrishnadass This is the Ecommerce site for a long-established bookstore in India. They are the worlds oldest Publishers of Indological (Religious) books in India. Hindu Temple website: The Hindu Samaj of Southern Sask. Inc, was formed on June 15, 1987 and the Hindu Temple was opended to the public on September 13, 1990. The temple is located at 3307 Pasqua Street, Regina, Saskatchewan, Canada. This site provides you information about the Temple and its activities. The Kingdom of God : Discover an evolutionary and revolutionary method of meditation based on the synthesis of all major religious traditions. The Naimisha Journal is the forum for Asian civilizations. Advised by a distinguished board of scholars, it looks at the world from an Asian perspective, free from colonial and Eurocentric biases. Sri sankara Jayendra Balavihar : Moral lessons for children. Children's songs , divine worship, balavihar songs, Adisankara, Maladasa, Markandeya, Narada, Shirdisaibaba, Tukaram, and more. Avaduta Datta Peetham: Sadguru Sri Ganapathi Sachchidananda Swamiji of Mysore is the Pontiff of Avaduta Datta Peetham. He is considered an incarnation of Lord Dattatreya by his followers. Speeches, videos, Cassetees, Cd's are available from this website. Understanding Hinduism: A comprehensive web site designed for scholars and students of Hinduism. Academic Info: Hinduism - Meta-Indexes. An annotated directory of Internet resources on Hinduism and Hindu Studies. Karamsad.com: Listen to the Bhagavad-giat at karamsad.com The purpose of this site is to provide you with information on the Religion, Culture and History of the Hindustani people. Dhyanyoga Center of NC: Kirtan and Meditation Programs in NC, in the tradition of Kundalini Maha Yoga and its teachers, Shri Dhyanyogi Madhusudandasji and Shri Anandi Ma. Dhyanyoga Center of NC:Kirtan and Meditation Programs in NC, in the tradition of Kundalini Maha Yoga and its teachers, Shri Dhyanyogi Madhusudandasji and Shri Anandi Ma. Rudraksha and Ratna : Worldwide suppliers of high quality Rudraksha power beads and other holy Meditational Items direct from India. brahma kumaris wotld spiritual organisation: A site about Personality devolopement through rajyoga meditation to gain clear understanding of self, the world, god, karma and philosophy and spirituality. Our Mandir: We make custom Mandirs for homes in the USA. Please visit our website to see past completed projects. Saranam.com : is the world's first puja and Hindu ritual site. In addition to articles on Hinduism and it's rituals, we have personalized free services. VEDA - Vedas and Vedic Knowledge Online: Comprehensive information resource on Bhakti-yoga, Vedic philosophy and culture. Vedic Encyclopedia. Vedic Library. Hatha-Yoga.com: Sitio web destinado a la disfusión del Hatha Yoga en castellano. Online & Offline Holy Bhagvad Gita: Online Holy Bhagvad Gita. PDF version off all texts, brief information about Hinduism, Hindu images, links.